But it’s my first audio. 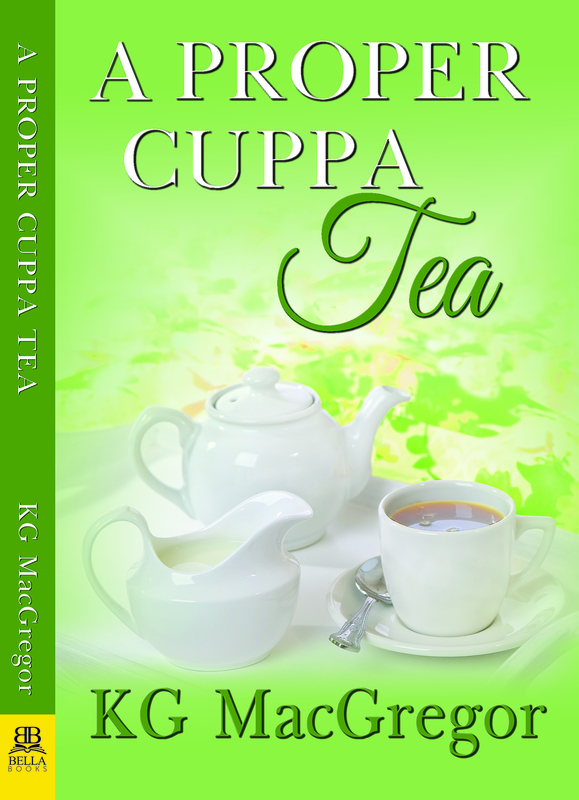 That’s right, my latest book — A Proper Cuppa Tea — is ready for a listen at Audible.com. That definitely calls for a freebie or two, don’t you think? Leave a comment here on the blog by Wednesday, August 1st — I’ll draw a name at random for a free audiobook. If you’re a Facebook user, you can double your chances by commenting there on my link to this blog. The book is narrated by Cat Lookabaugh, who toggles expertly between British and American accents for more than two dozen characters. I was at the GCLS conference in Las Vegas a couple of weeks ago and had the chance to do a short reading during one of the Author Spotlights. I chose a scene that featured both main characters, but I decided ahead of time not to make a clown of myself by doing Channing with a British accent. Imagine my surprise when I found myself doing it anyway — it was like being possessed! Speaking of GCLS, the 2018 conference was its usual barrel of fun. We were cool as popsicles as it simmered outside at 110 degrees. Not the best year to stay in a non-conference hotel, it turns out. There were panels, readings, games, karaoke, and coffee breaks with oddly gigantic slices of banana bread. We were inspired by the voices of our Trailblazers — Katherine V. Forrest, Lee Lynch, Karin Kallmaker, and the inimitable Dorothy Allison. We listened as Rachel Gold brought us up to speed on the growing community of women who identify as trans and genderqueer. We welcomed pioneering writers Lucy Jane Bledsoe and Elana Dykewomon. And we celebrated the Goldies. I’ll echo the observation made by others that this year’s first-timers included a lot of Millennials and people of color. Credit the GCLS Writing Academy for bringing in these new voices who are telling their own stories. That raises the bar for those of us who’ve been around the sun a few times — we’ll have to work harder to keep our books fresh and appealing. Some of you have asked if we’ve gotten settled into our new home in Nashville yet. No, but there’s light at the end of the tunnel. Or rather, at the end of the excavation. To give you an idea of how this has gone, there was a crack in the kitchen counter. No problem, we wanted a modern granite slab anyway. But when we took off the old template, we found cheap cabinets underneath. When we pulled those out, we found holes in the subfloor. You don’t even want to know what we found in the crawlspace. All of those things have to be fixed in reverse order, and everything takes twice as long as they say. (And costs half again as much.) Repeat with the windows, the electrical, the gas, and the plumbing. We hope to be in by the middle of next month. Let me guess — you forgot already. Leave a comment below and you could win a free copy of the audiobook, A Proper Cuppa Tea. I would love to give it a listen!! I’d love to win the audiobook. I enjoyed reading the ebook. Love your books! I love to listen to books while I work so this would be awesome!!! I just finished reading your book this morning at 2:00am. I loved it, loved the dialogue and would really love to hear the dialogue. I am not good at hearing the different accents in my head as I read so I am excited about your book being an audiobook as well. I would enjoy having a cuppa while I listen. I’m moving from Knoxville to Virginia Beach in two weeks and would LOVE to listen to this in the car! So glad you joined the audio world. I would love a free copy. If I don’t win I will definitely be purchasing your audio book. Thanks, Donna! I’m really happy to finally be able to point to a book for those who’d rather listen than read. Finished the book today. Haven’t had a romance novel read to me in a while, brought back some fond memories. Loved the characters, loved the epilog! KG when I get one of your books I end up devouring it, even an audiobook. Perhaps, in the future, you could revisit Channing and Lark and discover how the house deal is working. I’m so glad you enjoyed it. If you’re so inclined, I’d truly appreciate a review on Amazon — that’s the only way books get traction these days. But if it’s not your thing, no worries at all. Another way to enjoy your story telling talents! Love your books! Would be great to hear one if them!! Too bad about your house! I’m excited about my first audible! Always look forward to. your books. sounds like the Nashville move has become an adventure….. good luck there. Looking forward to The Lucky Ones as well! All the work in Nashville will be worth it — it’s such a cool city. My transplanted sister-law, a Brit now 3 decades, accurately predicted no traction of canned Lipton iced tea 20 years ago in the UK. Wasn’t a “proper cuppa.” Was printed in her column in the Portsmouth newspaper she contributed to then. I’m so excited! Anither favorite author joins my list of audiobooks. So excited! I agree! Nice to hear from you. It’s my pleasure! Thanks for posting. I’m delighted to make your tbr list! Looking forward to reading/hearing this story! Excited for your first audio book! I’m excited too! I’m finally in the club. A lot of things weren’t visible at inspection, but he definitely missed the crawl space. We’ll have it sorted soon. Thanks, Dar! I hope you enjoy it. Just got the download today. Will tell you later how I like it. Maybe so! I’ve not tried audiobooks either. My brain does better with what it sees than what it hears. I used to take notes during lectures, but I didn’t learn it until I read my notes. I’ve been waiting too. If this one’s successful, I’m sure there will be more.